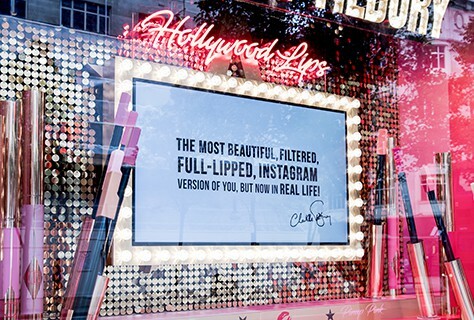 And this month, Charlotte Tilbury invited fans to become stars at their ultra-glam Hollywood Lips pop-up. Following the success of the #GLOWMO pop-up and window displays, D4R were more than happy to enter a world of rose-gold glamour again! A little different to the previous spaces, this pop-up was exclusive to Selfridges, appearing in Oxford Street and Birmingham's Bullring! You will also see it popping up in Manchester later on this month! The journey to stardom began inside with the Hollywood pop-up. 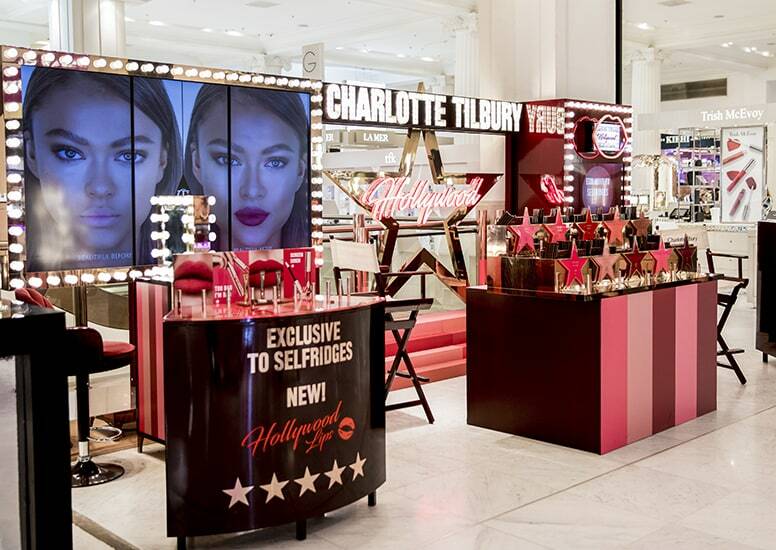 Fans of the brand as well as newcomers were welcomed into the truly alluring arms of Charlotte Tilbury. The spaced dazzled with dressing-room lighting, oozed sensuality with rich shades of burgundy, red and pink and created individual moments of glamour. 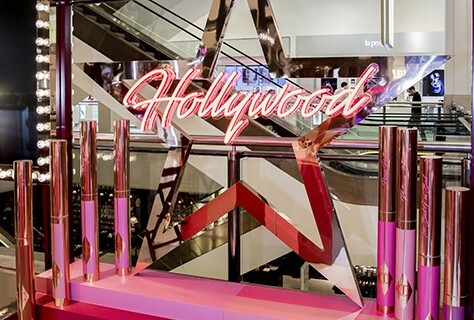 Taking a seat in a chair usually reserved for the elite stars of Hollywood, customers could be treated to a Hollywood lip and contour make-over. The digital media screen mimics the one seen in the window display. In true Hollywood style, what would the space be without a bit of on-screen action?! However, the limited use of technology is refreshing for the space, allowing the product to shine. Just like Hollywood, this pop-up was certainly the place to be. The journey continued with the window displays. Here, the Tilbury brand welcomed you to the stage. The stars of the show? 10 lipsticks with an enviable figure! If you’ve seen our previous CT posts, you’ll have seen the preference for oversized products and statement lighting. 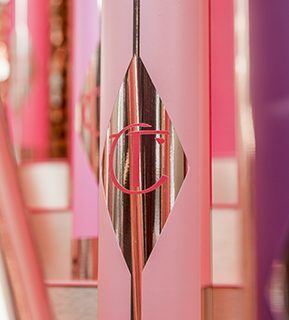 This window display is no different, with the oversized liquid lipsticks absolutely stealing the limelight.